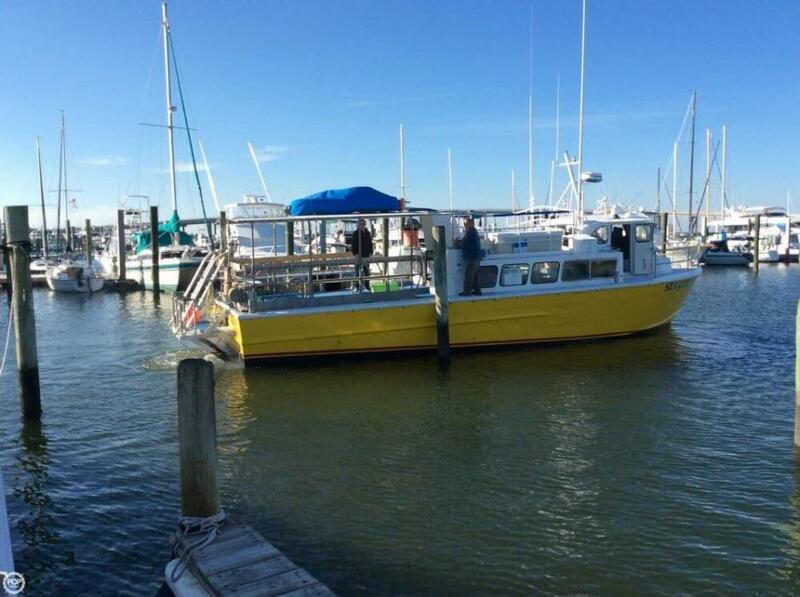 The Sea Quest II has tank racks for 24 divers and a large top sun deck with bench seats. The back deck has a canopy for shade, a 10-gallon ice water dispenser, and hot and cold water shower. The boat has air conditioning and heat and also has a 110 volt A/C so you can charge the batteries on your strobes or scooter. The dive platform has two ladders, and surface supplied air on the hang bar. The engine room is easily accessible and has plenty of space for maintenance and repairs. Many owner renovations for safety and comfort. Could easily be turned into a head fishing boat! The boat is ready to cruise to its next destination. Stock #146486 This vessel was SOLD on April 4. 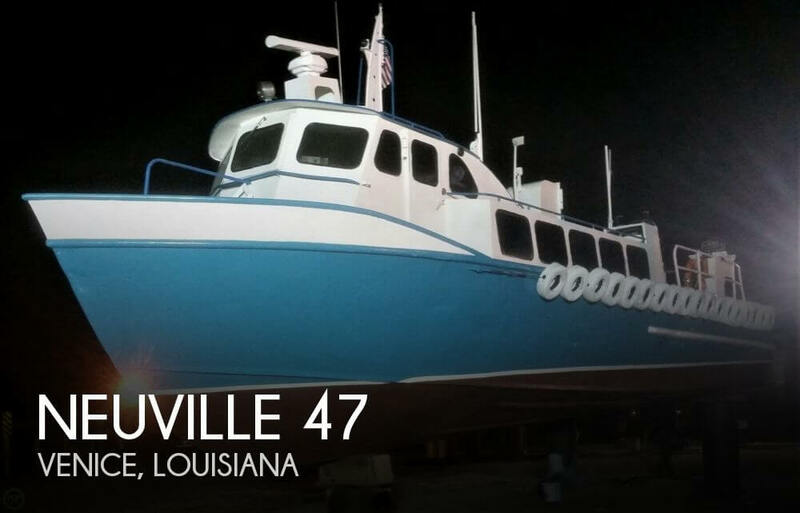 If you are in the market for a dive boat, look no further than this 1975 Neuville 47 Crew, just reduced to $140,000 (offers encouraged). This vessel is located in Moorhead City, North Carolina and is in good condition. She is also equipped with twin Cummins engines that have 4,300 hours.